Filled with DeHart heirlooms, this sophisticated first floor room is decorated in black toile and overlooks the front gardens and Rock Castle Creek. 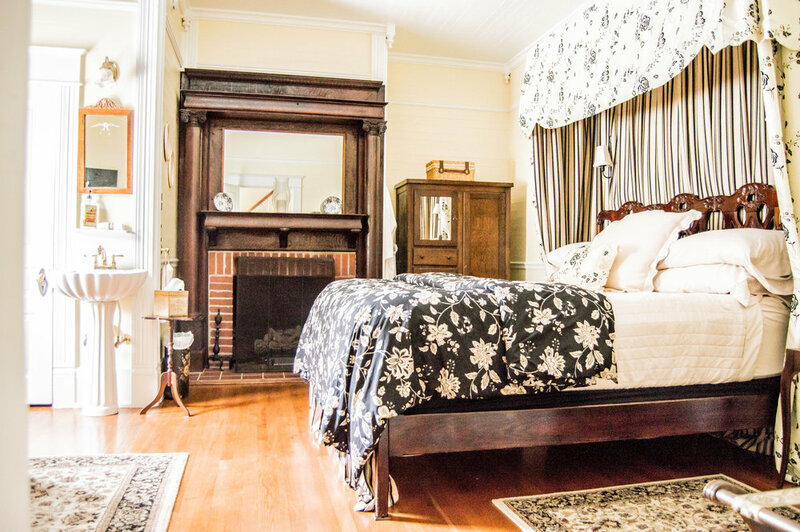 The Heirloom Room features an elegantly carved headboard with a canopy and a king sized bed. 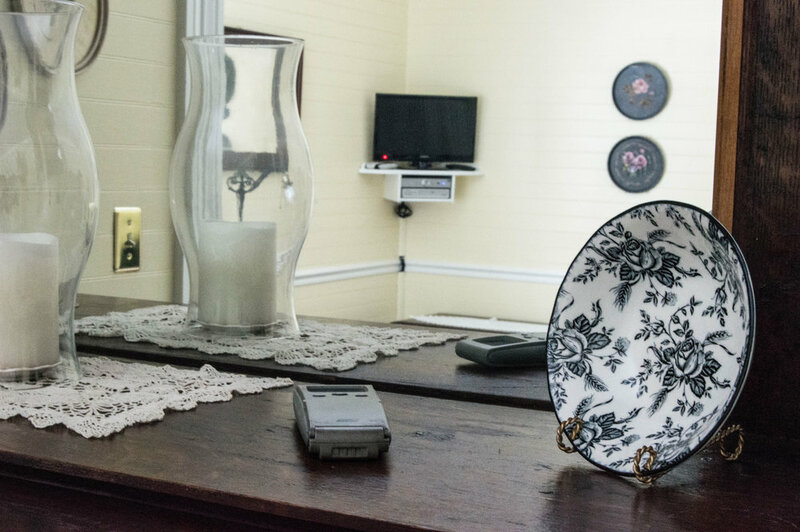 Coupled with an antique credenza and rocking chair, this room invites warmth and relaxation. Rates can vary between peak and off-peak seasons. Please check the current rates for your trip on our calendar! This is a truly gorgeous inn. We wish we could have stayed longer. The views are breathtaking, the accommodations relaxing and the breakfasts were decadent. The next time (and there will be a next) we stay, we will have to allot more time to really savor the scenery. We feel so blessed to be here, what a heavenly place! We have not been more relaxed and rested in a long time! Looking forward to our next stay. My wife and I were interested in a weekend getaway in the mountains of Virginia, and we found the perfect little spot at the Mountain Rose Inn. 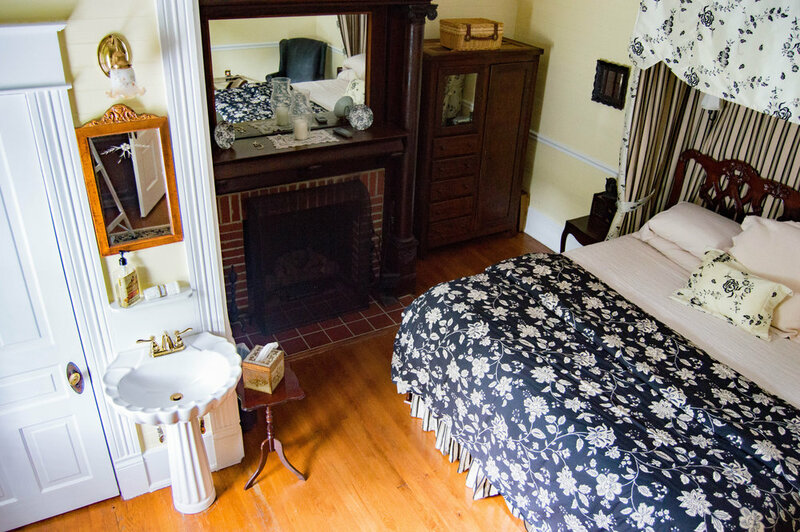 The Inn is charming and historic, and the innkeepers are proud of this history. We were greeted warmly with a quick tour and some advice about what to do in the area. They cooked a spectacular breakfast in the morning. We look forward to visiting again when the weather is warmer.